Shiny and sleek, the 4-inch TerraEdge HomeKits are rigid enough for clean straight runs and flexible enough for creating decorative curves with ease. Each Homekit includes 5 edging pieces and 15 hairpin stakes. TerraEdge is coated with a corrosion-resistant plated finish making the edging weather resistant and low maintenance, so your edging will look clean and new for years to come. TerraEdge Home Kits by Coyote Landscape Products are used to permanently delineate landscape beds, walkways and gardens from lawn areas. 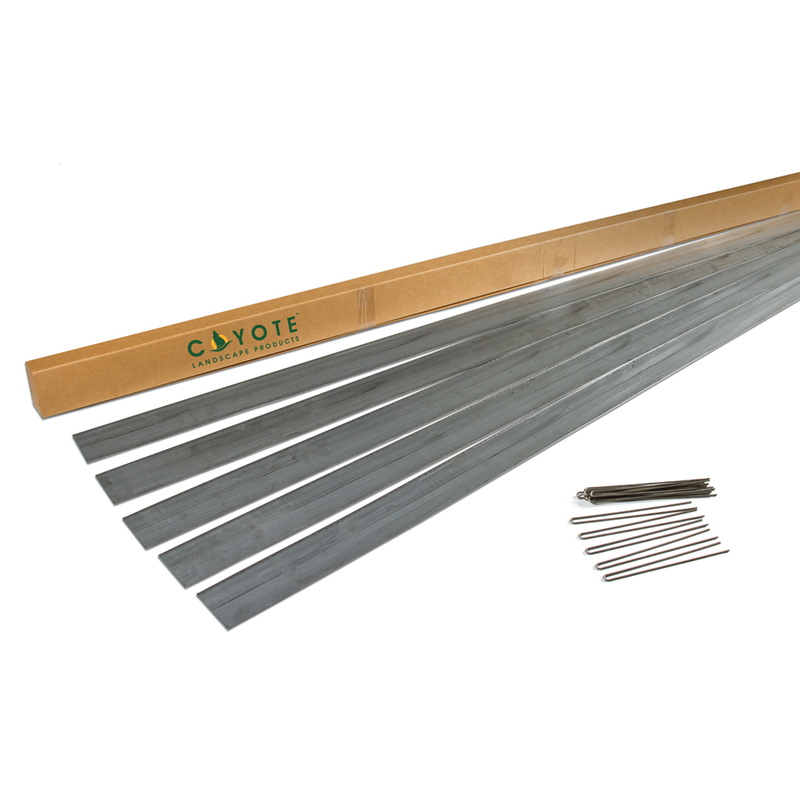 Perfect for DIY homeowners, our 4-inch by 94-inch long steel edging is specially sized for quick and easy installation. The rolled-top edging provides an added safety factor compared to straight edging. Each Homekit includes 5 pcs of edging, equal to approximately 39 linear feet. When ordering remember to account for overlap at each joint or consider using our TerraEdge Speed Clip for zero overlap, allowing for a cleaner installation. Check our size guide to select the right thickness for your application! wonderful product and awesome customer service! the edging is perfect, looks great! super customer service, fast and friendly responses and they dealt with my issue quickly and went over and above to solve my problem! thank you so much!